Here is a development situation that is unfolding in real time: Dimensions Healthcare System, Prince George’s County, Md officials and the University of Maryland Medical System are meeting on Thursday to discuss the location of the new regional hospital that will replace the problematic Prince George’s Hospital Center. There are four prospective sites, all in the central area of the county near interchanges on I-495, the Capital Beltway. County officials' shortsightedness may cause the hospital to be built in a location that seems optimal at a glance, but won't serve residents best - this is a perfect opportunity to use a hospital as an anchor for transit-oriented development. Much of the attention has gone to the former Landover Mall site, currently a sea of asphalt and home to a Sears department store - the only survivor of a shopping mall that failed in the last decade. It's just inside the beltway, more than a mile from the closest Metro station, and not far from another prospective site, the Woodmore Town Center. There one would find a new shopping center, home to an upscale grocery store and many open lots. The third site is near the Morgan Boulevard Metro, inside the beltway and between an area with light industrial uses and a new housing development. 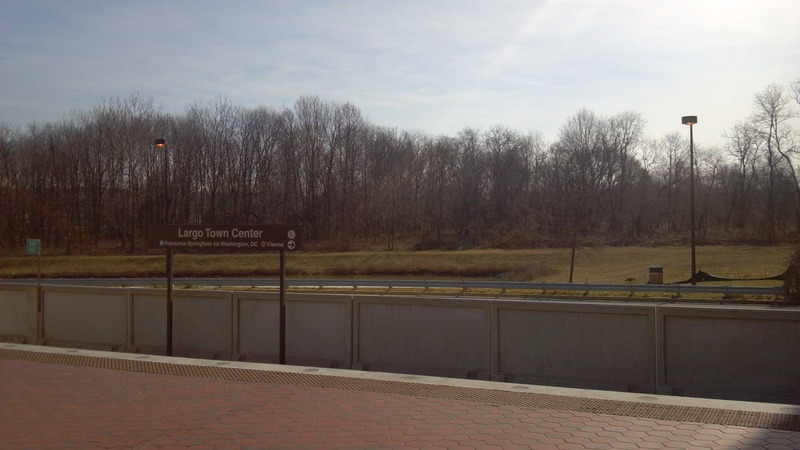 The fourth is my preferred choice, in the Largo Town Center Metro Station area, an outside-the-beltway location, next to another, slightly older outdoor mall, near under-utilized commercial parks, and across from townhouses, condominiums and apartments. A view of part of the site from Lottsford Road. In this part of the county, the beltway generally serves as a dividing line between the older, more developed sections "inside the beltway" and the higher-income areas "outside the beltway." Perceptions of crime also generally lessen as one moves east, away from Southeast Washington, DC. 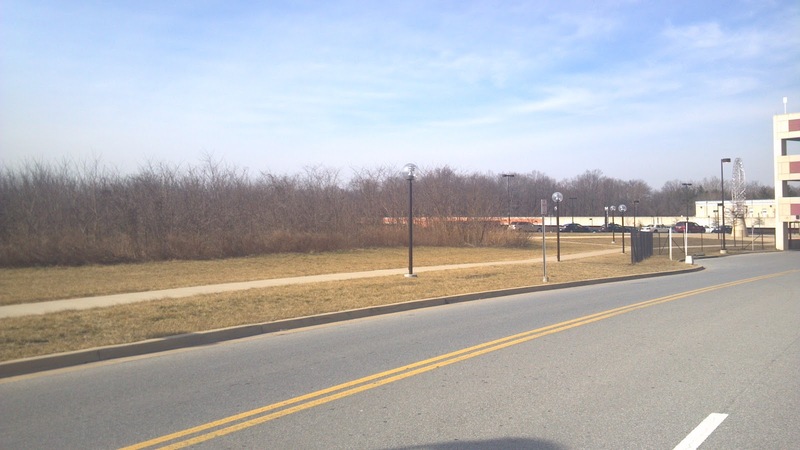 A closed-off traditionally suburban-style campus in Landover with most access by automobile/bus and limited pedestrian traffic is a likely scenario - safety concerns and distance from Metro would weigh on the minds of developers. Development in Prince George's has historically lagged behind the other counties in the region, and the county's station areas lack the kinds of transit-oriented development seen around urban and suburban metro stations elsewhere in the region. (See my earlier essay on some of the reasons why). This history is more than just a problem - it provides an opportunity. An AARP/Streetfilms video that we did highlighting equitable TOD success in Arlington County, Va. We did not find a similar location in Prince George's County, Md. It has been nearly a decade since the Metro station in Largo has been built, and the lack of development adjacent to the station has disappointed residents. They have watched the Boulevard at the Capital Centre (the outdoor mall) fail to meet its potential, in part due to the lack of development elsewhere in the station area. The perfect tenant for the site would be a large employer to maximize the millions of dollars that were spent expanding the Metro, and a $650 million hospital center not only fits that criteria, but putting it in a location that fails to maximize the positive impact of the investment would be a waste. Most of the other sites under consideration are far from Metro, which would replicate a key problem that plagues the current hospital center in Cheverly: patients, visitors and staff without car have a difficult time accessing the facility. From a real estate perspective, the best chance of getting hospital staff to live in the community around the hospital is by building it in an outside the beltway location where the neighborhoods are generally safer. Locating this station at any of the other sites would be wasting a key opportunity to move forward. Taking advantage of the opportunity means creating a hospital that best achieves smart growth principles. minimizes emergency traffic on neighborhood streets. They also expect that a new major employer would have a positive impact on the existing retail and commercial development in the area. Hospital planners should take the advantages of an outer-beltway, Metro accessible location into account: it would be part of a transit and commercial hub in the center of the county and would lack the stigma of an inner-beltway location that may impact some people's perception of the hospital before it opens its doors. Designers should create an asset that both current and future residents can utilize. Existing residents are not asking for something unheard of: George Washington University Hospital in DC is the closest example, but our friends at the Coalition for Smarter Growth put together ten other design examples of hospitals where this has been done. Prince George’s should no longer be behind the curve: they should build the right hospital in the right location - the Largo Metro Station Area. They could build it elsewhere, but why not make the right decision this time? Update 3/1/13 - The hearing was last night - see my reaction post with a few personal reflections here: "Reflections on A Transit-Oriented Hospital"
Do you have an opinion about where this hospital should be located? Like DrUrbanPolicy on Facebook and follow on Twitter, then share your thoughts on those sites or below.